Apple has pulled the cover off its new iteration of the iPad. The iPad Air is the next generation of iPads to flood the market. Just like the Macbook Air this iteration comes in at around 1 pound in weight, 3/4 inch thickness and sporting a retina display. The new iPad will utilize a 64 bit architecture making around 8 times faster than the first iPad. It will have a 5 megapixel camera capable of shooting full high definition video and a battery life of about 10 hours. Sadly this iteration will not have the Touch ID found in the iPhone 5S. Prices will start at 499 and vary depending on the model. You can get your hand on one starting November 1st. 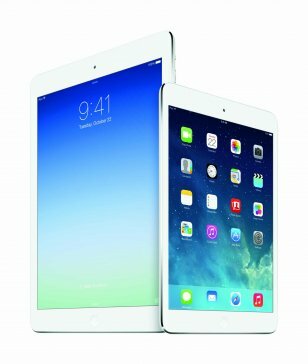 Apple also updated its mini iPad line with by throwing in a retina display and bumping the price down on the original iPad mini at a cool 300 dollar price point. This will also make its debut come November 1st. Heres looking to a Apple filled holiday season as they compete with the likes of Google and Samsung not far behind in the tablet race.